CJ Rosenbaum interviews Seth Kniep, Co-Founder & CEO of JustOneDime.com and Just One Dime eCom 2019: where sellers learn to sell more products, rank higher, get reviews, make more sales, and earn freedom to live life to its fullest. Learn how to build your ecommerce empire. Join us at the Just One Dime eCom Conference! Last year’s Just One Dime annual event had 500 warrior entrepreneurs showing up to learn and network. This year is going to be even better! 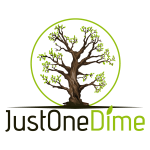 JustOneDime.com helps you create margin to do the things you love, with the people you love, by building passive income streams.